On the way of its own line: The RW 103 roll container is a companion in the living area and design object for many purposes. Functional, stable with a very own character and numerous usage possibilities. 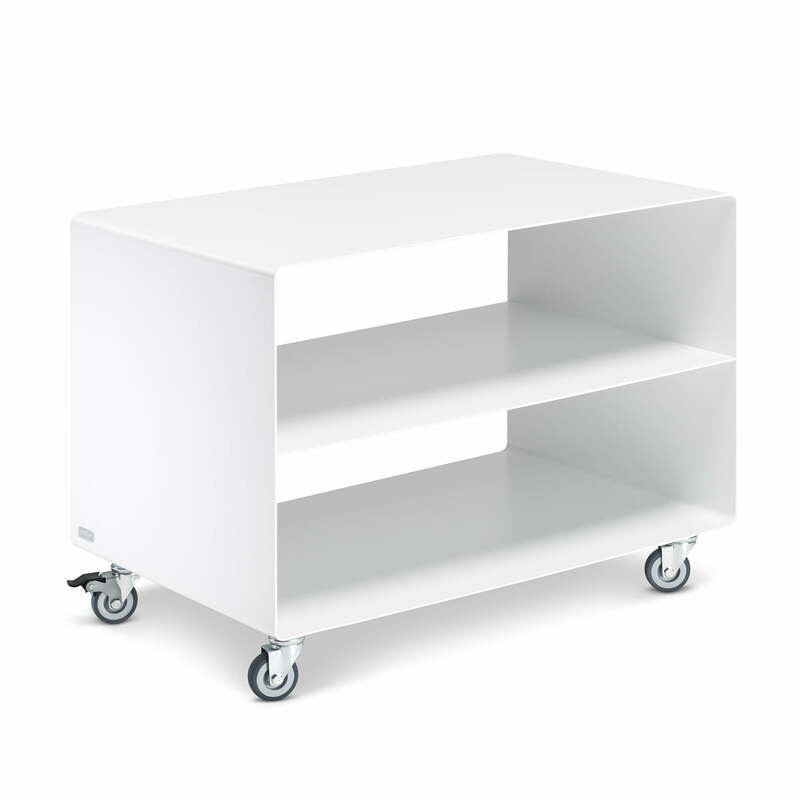 The cart by Müller Möbel is suitable to store, keep and present everything you need at hand in your office and home. The flowing clear shape is harmonious and fits seamlessly in modern interiors. The RW 103 roll container refreshes the room whether alone or in a group. It is equipped with a middle-board. 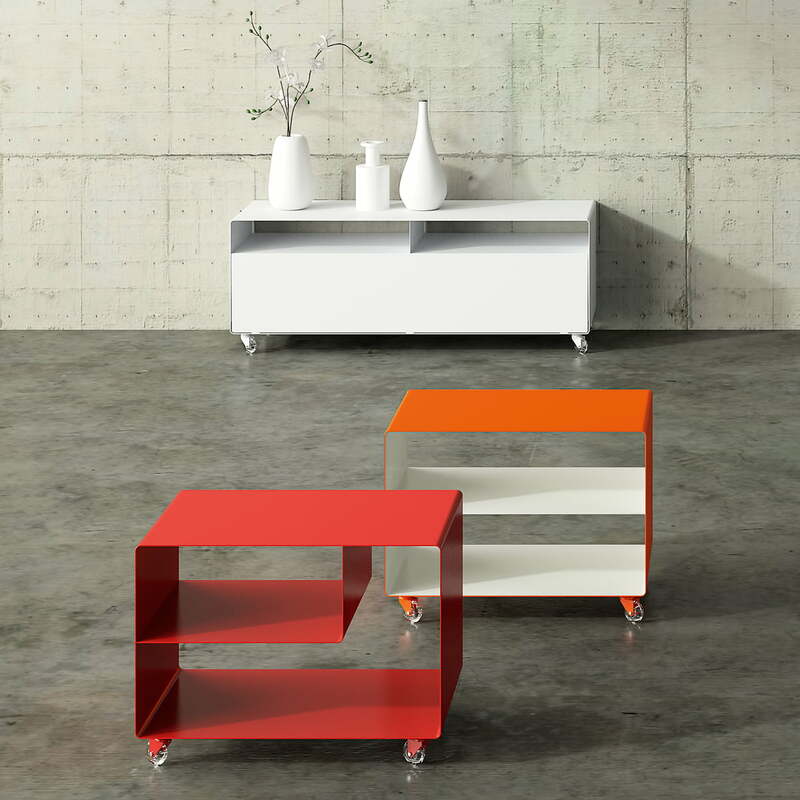 Its height makes it possible to use the RW 103 as couch table or side table. And since the roll container of Müller Möbel is mobile, it can even be used as small serving cart. Müller Möbel paints the RW 103 roll container in a large selection of RAL colours, in different tones inside and outside, on demand.